Found in box of photos – no-one in our family. Any ideas? Taken in Brennan Road. We had family who lived in 21. Possibly earlier than 1954. Taken about 1949/50, outside No.21, where Eva & Jack Goodwin lived, I think!! 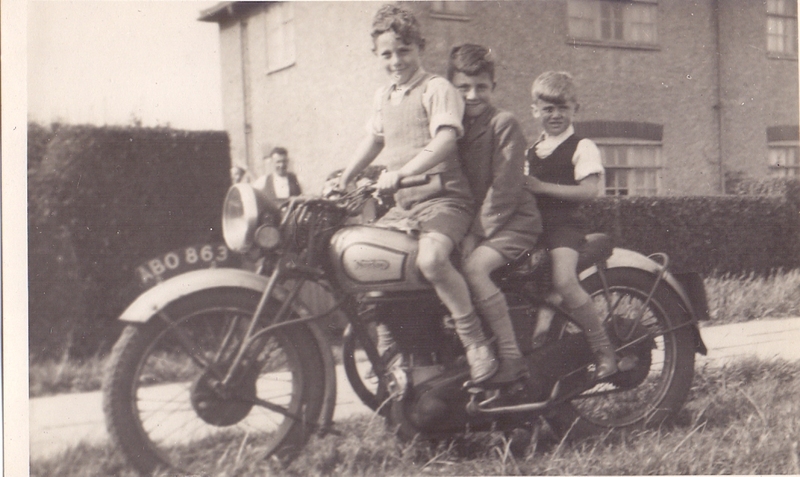 From the front, the boys are Tommy Kendrick; George Andrews; and Alec.Wilson. Tommy lived at No.21, George and Alec. back along the road a bit.